Makeweb is a CMS publishing tool for creating your own company website. 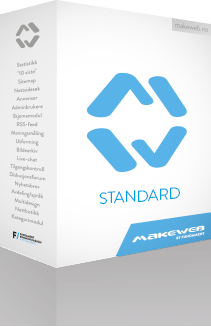 Makeweb is module based and scales perfectly to fit any size website, small or large. Here are our main product packages, but remember you can always select modules to form your own package. A miniature solution for companies that don't really need a full CMS publishing tool, but still wants to publish 4-5 pages. 10 MB storage. Everything you need to edit your website. You can also extend your solution by choosing extra modules from our large library. 1 GB Storage. Stuffed with modules. Includes many modules, such as: Forms, Advertising, Forum, Image gallery, Newsletters, Access control. 2 GB storage. Keywords: Create your own webside simple, fast and cheap. Makeweb will make your new website. Establish website, and update it yourself. Your website/homepage is easy to update. Dynamic website/homepage updating. Do you have a company or corporation and need website? Then Makeweb is just the thing you need! We have a cheap affordable solution, contact us for offer! We can create your own design layout, and you can edit dynamically. Contact us for demo account. 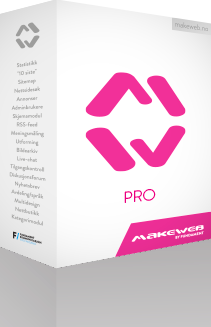 Makeweb gives you all you need for your website. 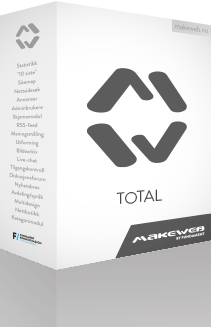 You can add chat, webshop, sms, search, poll, forum and many more modules. PHP and MySQL based publishing solution. Makeweb gives you online publishing for companies and corporations. Makeweb is easy to update, easy to use. Makeweb gives your company a website that's very easy to update. Anyone can create a website with Makeweb. Do it yourself solution, your own website that you can update yourself. Publishing solution for your website, webshop with webdesign. Publishing tool for your webpage or webpages. Here at www.makeweb.net ! We can create or form the design and layout for your website with us. Create your own website, or create your webpages on your own. We have available positions and other career opportunities. Local offices and sales agents apply within. Contact us for more information. As soon as your company or corporation has been registered you should have a website! Available positions.